You can export to several formats: PDF, XLSX (Excel), CSV and UBL. Step 2) You are now in your personal Klippa account. Select the files you want to export. Step 3) Once you&apos;ve made a selection you can see the Action menu on the right side of your screen expanding automatically. Please click on Export next. Stap 4) Pick the right format. You can use the "Share with" option to share a file to an email address containing a link for downloading the file. The link will be send to your own registered email automatically and will be available for another seven days. 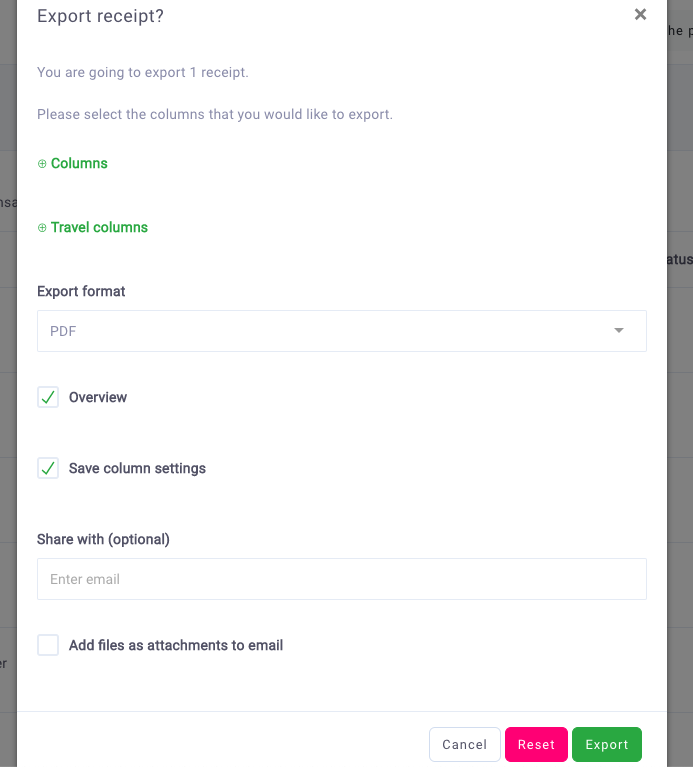 You can save column options for the next export. The subjects which are selected in previous exports will also be selected for the future. Step 5) Please click on Export to export the files to your format of choice.